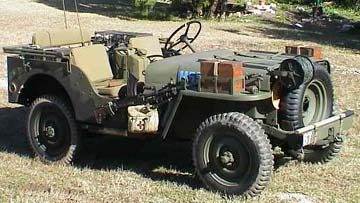 The willys jeep was refered to in documents of the 6th British Airborne Division as the "Blitz Buggy". 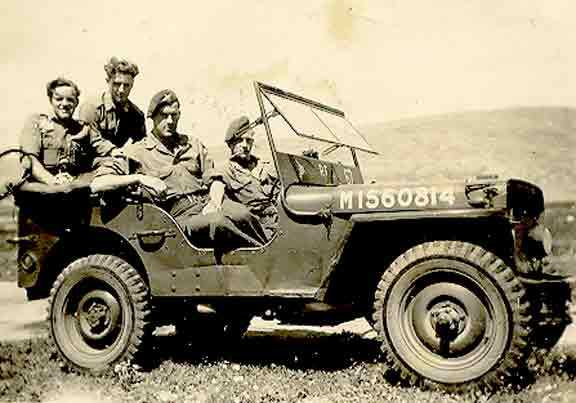 The jeep was used by all units of the british airborne forces for all manner of purposes. The 6th AARR used them for command and control, administration, pulling 4.2" mortars, recce platoon vehicles, etc. 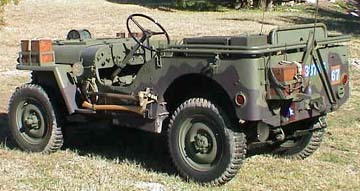 Modifications to the standard jeeps were necessary to allow the jeeps to be able to be loaded into the Mark I Horsa glider, as well as to lighten the weight of the jeep for air transport. Typical modifications were removal of hand grabs, cutting off the ends of the front bumper to the edge of the frame horns, cutting off the top circumfirence of the steering wheel or replacing it with a 'quick release' steering wheel that allowed it to be taken off and put back on during loading and unloading, removal of the windscreen, etc. 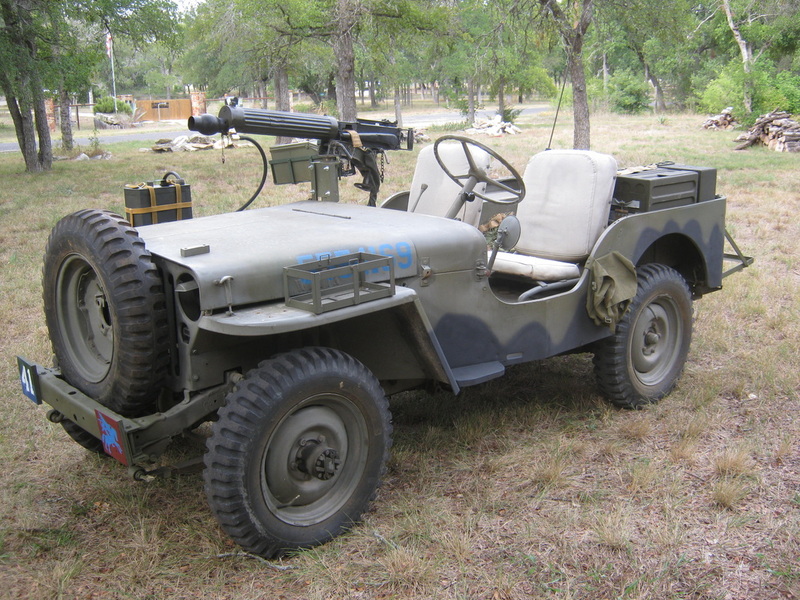 Other modifications included special purpose equipment added, such as universal storage racks on the bonnet for ammunition containers, brackets on the wings for spare radio batteries, resituating the spare tire from the rear of the jeep to the front bumper, etc. 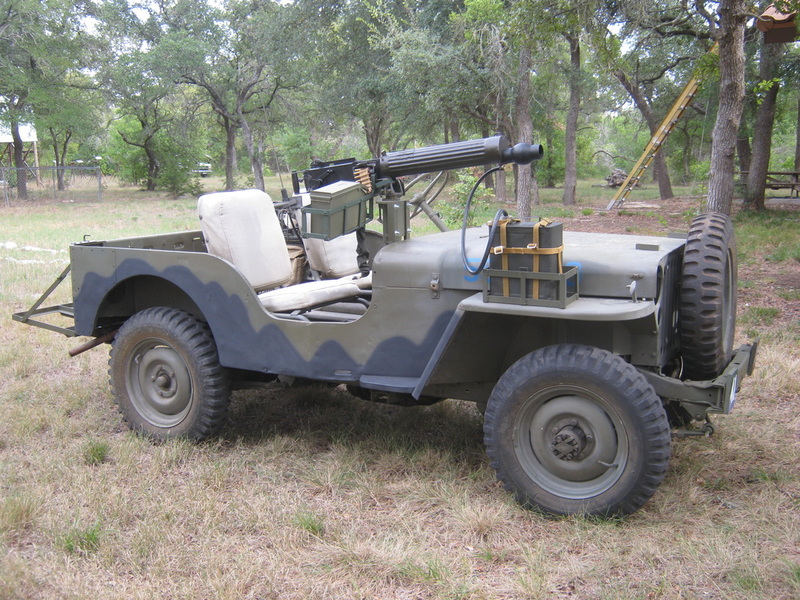 There are photographs from the war of several different modifications to suit whatever the purpose the jeep was to be used for. 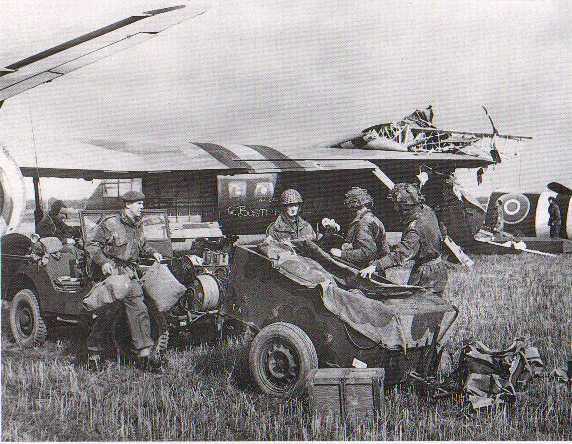 After the introduction of the Mark II Horsa, which could be loaded through the nose of the glider instead of loading through the side of the glider, jeeps no longer needed some of the modifications, as they no longer had to be 'squeezed' around the corner into the glider at the top of the loading ramp. 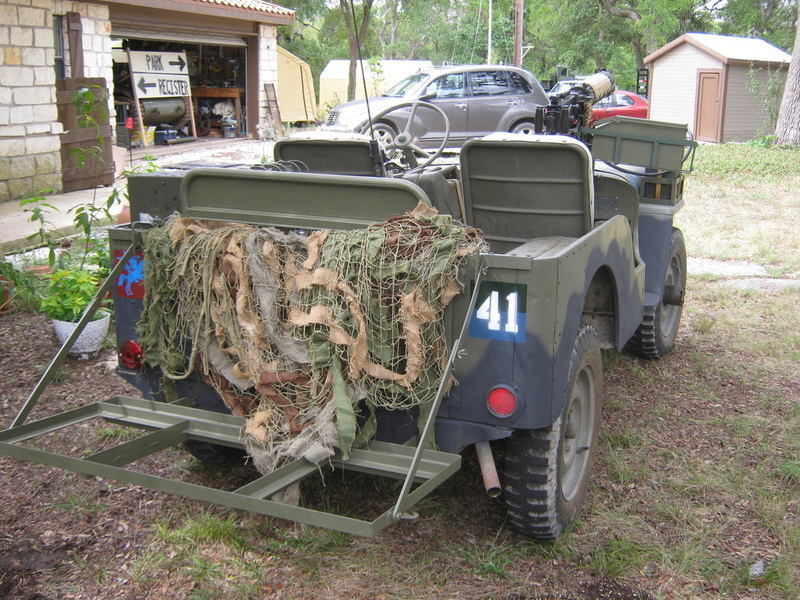 But since the airborne soldiers could not be sure of whether their equipment on later operations, such as Varsity, would be loaded into a Mark I or a Mark II glider, most jeeps continued to receive the modifications anyway. 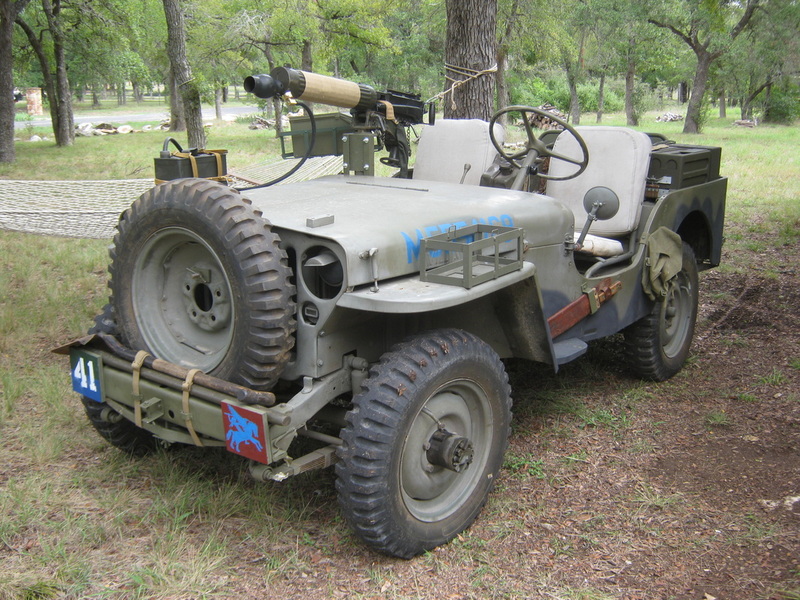 Below are three war-time photos of airborne jeeps, with varying degrees of modification. 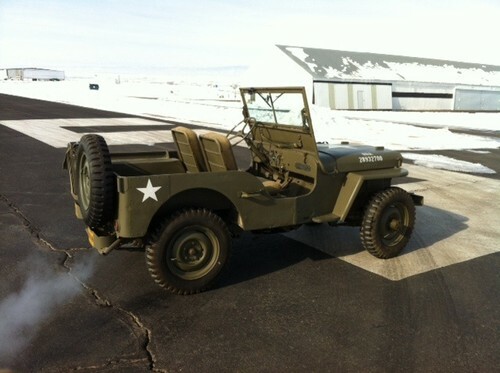 Our jeep is a post-WW2 1948 Willys CJ2A. It has been converted to resemble a WW2 Willys MB by replacement of the front grill with a WW2 model grill as well as other modifications. 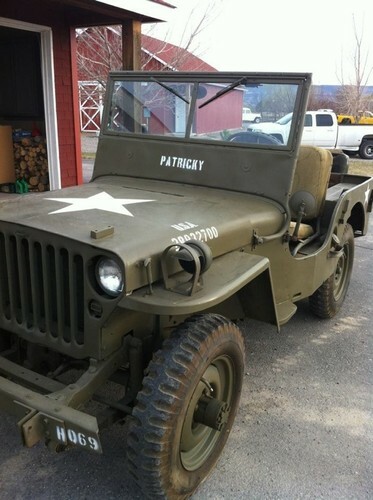 The jeep was modified by a previous owner, and will continue on with more modification to make it more authentic for the WW2 period, as well as modifications for use in British airborne service. The most noticeable difference between the Willys MB and the Willys CJ2 are the front grill, and the side mounted fuel tank filler neck. The CJ2 grill has headlights that are mounted protruding from the grill, and the MB has recessed headlights. As you can see to the left, this is the MB grill. The photo to the left and also the photo to the top right show the side mounted fuel filler. In the MB, the fuel filler is directly on top of the fuel tank, underneath the driver's seat and is not visible without tipping the seat forward. 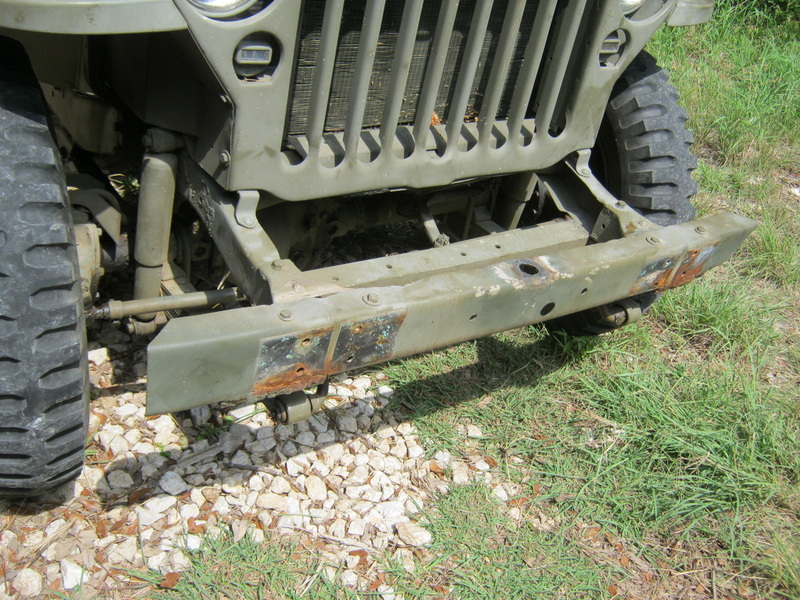 This jeep will be modified further to take care of this difference. 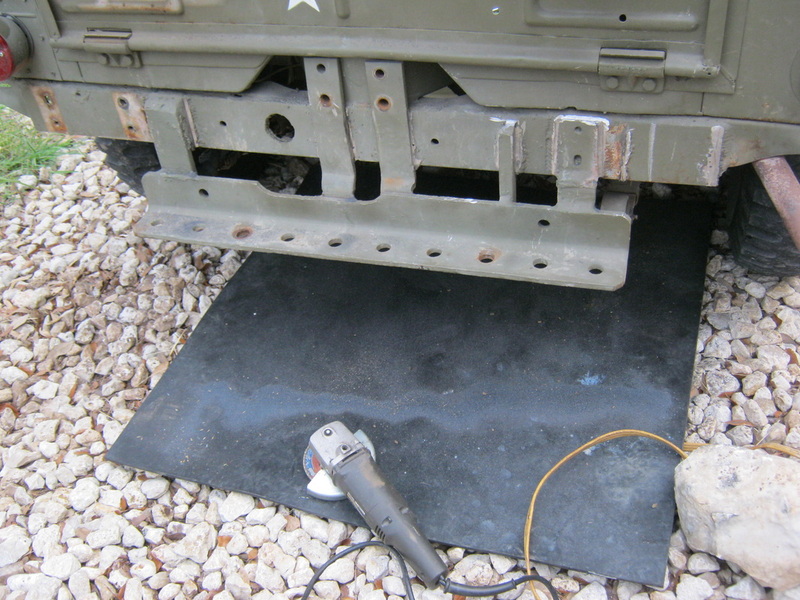 Other modifications will also take place such as the replacement of seat cushions with proper WW2 pattern cusions, the removal of the modern windshield wiper aparatus over the driver's windscreen position, removal of the towing bumper seen in the right photo, as well as moving the spare tire to the front bumper, removal of the spare can bracket, bumperettes, etc., as well as proper markings for the 6th AARR. Clockwise from top left - The rear bumper from hell; the rear bumper from hell gone, a little more grinding to do and then finishing; the front bumper tow bar brackets, tow ball and license plate bracket; brackets and ball gone, bent bumper straightened, ready for welding up and finishing; post war grab handle removal; post war pioneer tool brackets removed both front and back (not shown); grab handle below the fuel filler removed, and finally, a small pack for the driver's use now covering the fuel filler. The spot welds for the brackets will be ground down and then the steel finished and the pack then re-attached. To the left, the post war bow brackets for the roof are removed. The circular spost of OD metal with the punched center are the spot welds. These are cut with a spot weld cutter, along with an angle grinder to grind the welds from the corners to removed the bracket from the tub. Once the bracket is off, then the spot welds can be removed by either grinding or a chisel. 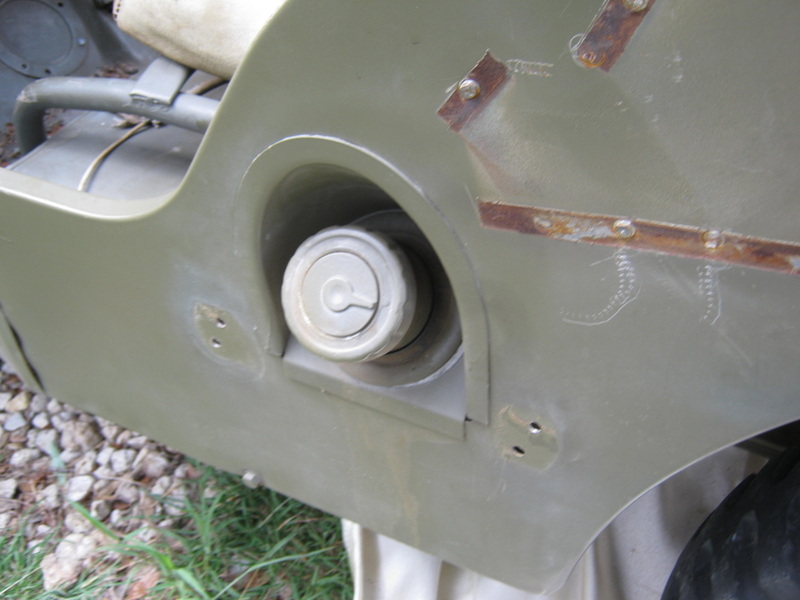 After the whole area has been smoothed out and the rust removed, along with the spot welds and rust from the post war pioneer tool brackets, then the bare tub is primed and painted. 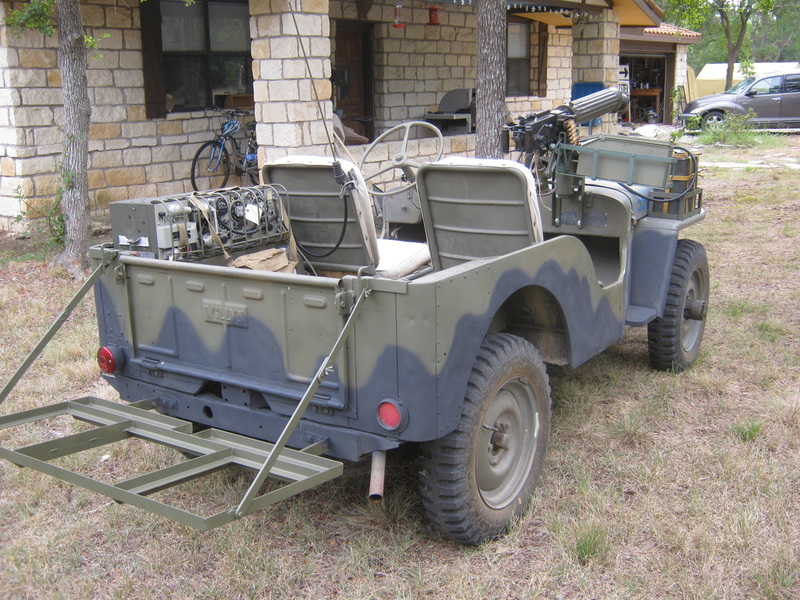 It's starting to look more like a WW2 jeep. To the left is the bumper after removal of all the welded on material and smoothing with the grinder. The bow brackets are removed, and spot painting with primer and paint to protect it while the rest of the jeep is being worked on. 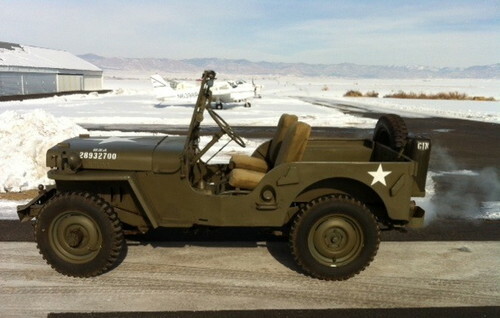 To the right is the jeep after paint and with an airborne pannier carrier attached to the back. A wireless set 19 is now mounted as well. 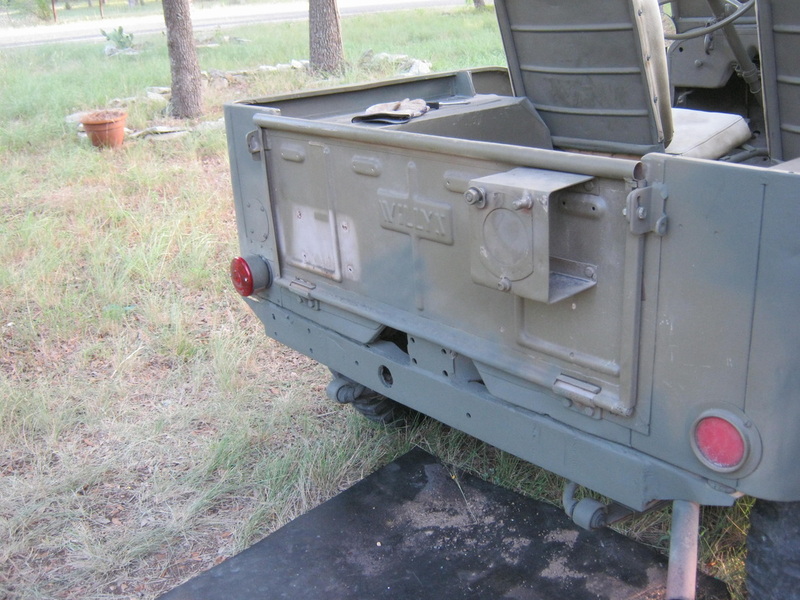 Above left can be seen the left wing battery box and KG3 blancoed small pack mounted next to the driver for convenient access to equipment like Very pistol, compass, etc. 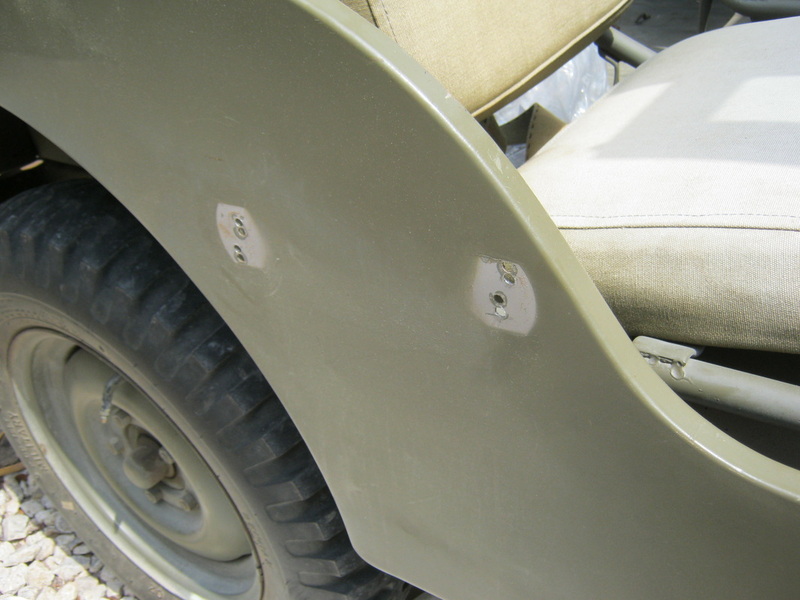 In the center photo can be seen the cut front bumper to facilitate loading the jeep into Horsa gliders. The 6th AARR TAC symbol can be seen on the left of the bumper and airborne forces Belepheron patch on the right. The spare tire is attached to the front of the grill with a specially made bracket. The black-out drive light has been moved from the left wing into the position for the left headlight. On the right is the Vickers MMG mounted on the dash on the passenger side, with cooling hose attached and inserted into the 2 gallon can to condense steam back into water. 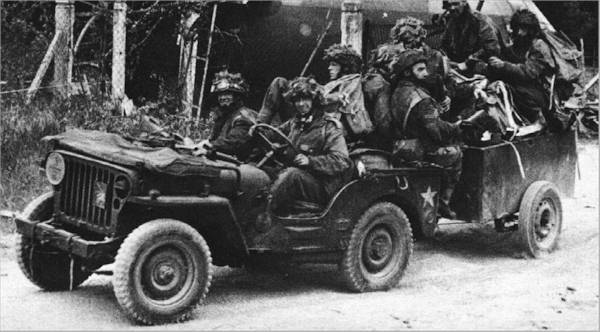 The 6th AARR used troops of jeeps with Vickers MMG's mounted on them for reconnaissance during the Normandy campaign. There are no descriptions or photos known that show how the Vickers guns were mounted. 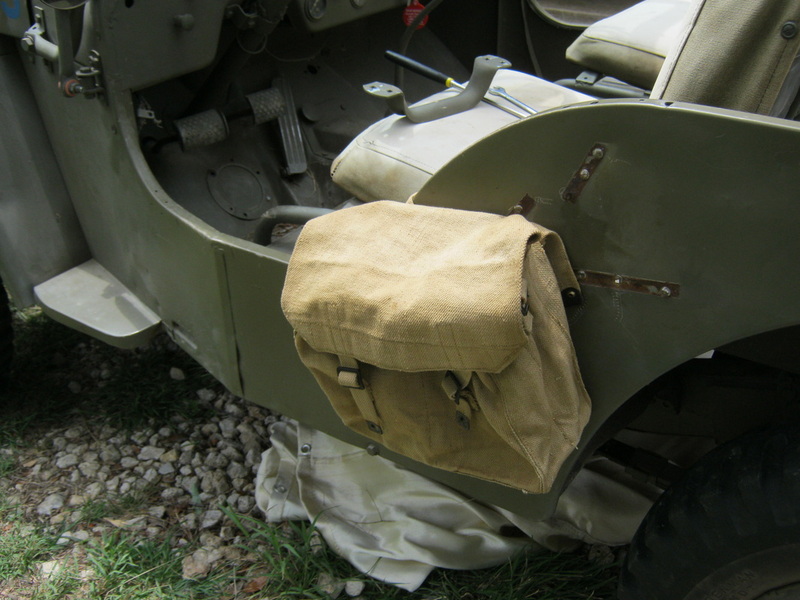 This one was mounted by adapting a pintle mount designed to mount the Vickers into a Universal Carrier, attached to the dash with steel brackets. Above is the finished jeep. 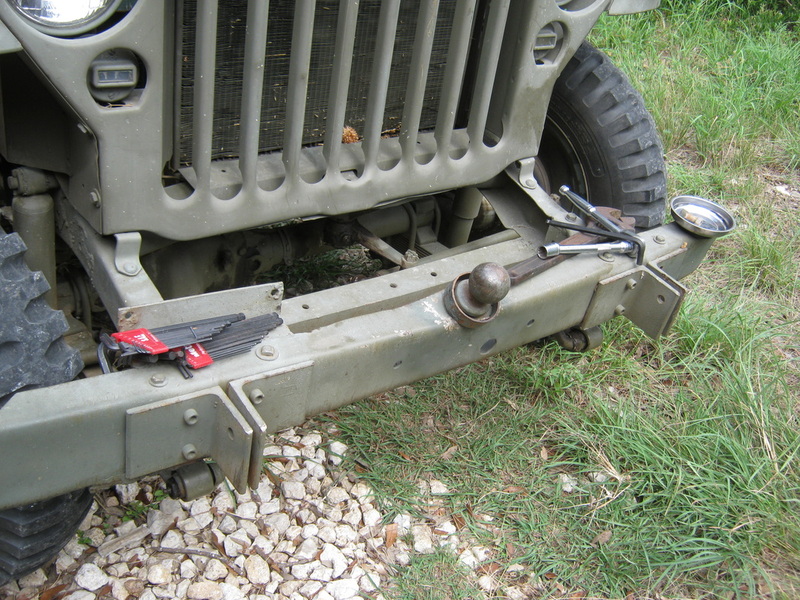 Now with machete bracket and machete added on the driver's side, pioneer tools with mounting hardware and straps on the front bumper, and tandem towing bracket also on the front bumper. The Vickers gun has a web sling added to it. 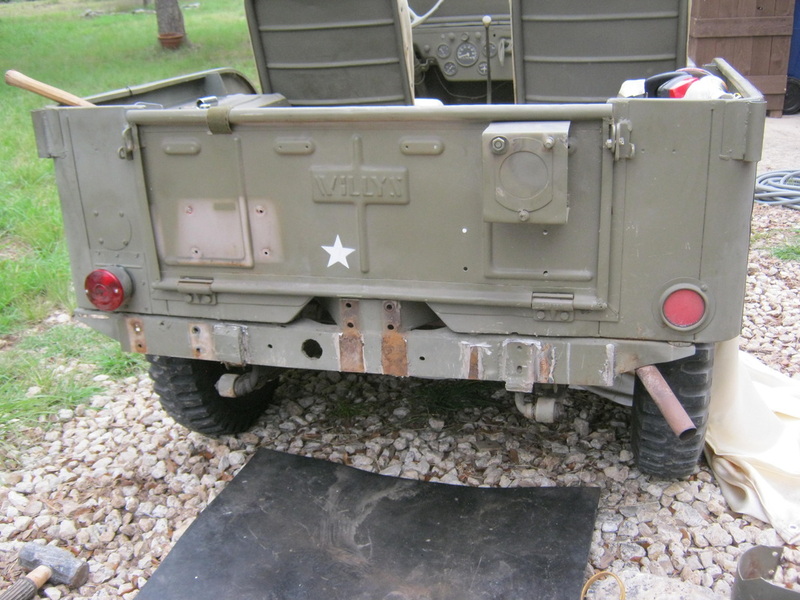 The rear set is now in, and the markings for 6th AARR added to the back along with a camo net for added sexiness and to conceal the tailgate. 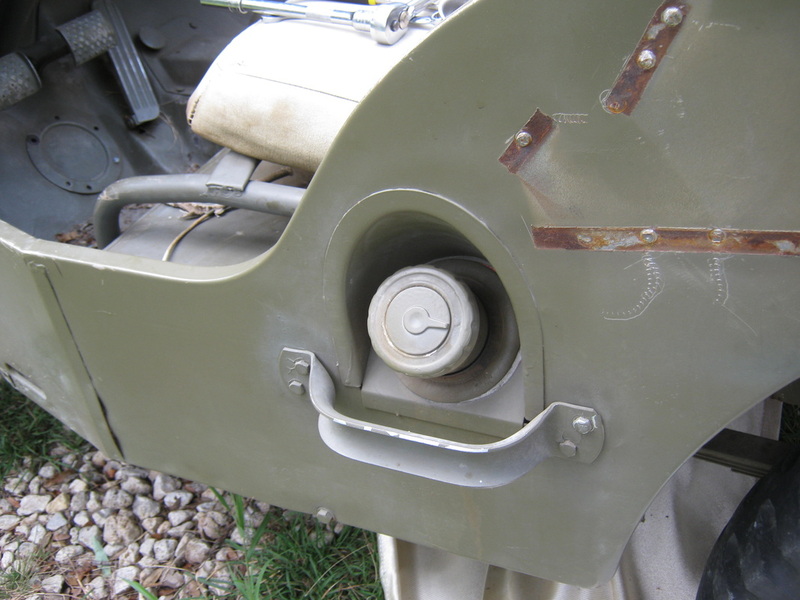 The jerry can mount has been added between the driver and passenger seats. Below is another one of the jeeps in our club. 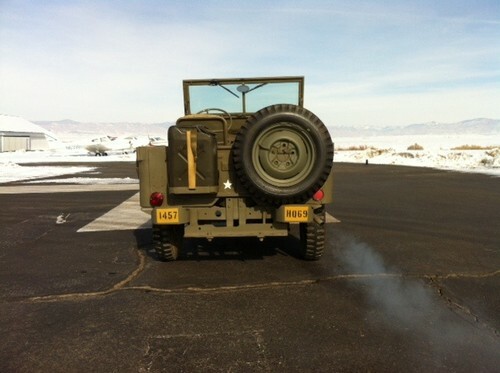 These photos of it are in it's configuration as an airborne signals jeep. It has since been modified as a non-signals airborne variant, which you'll be able to see in the Orne Bridgehead reenactment event photos. To see the above jeeps in action at an event, click on the button at right and then click on the buttons for the photos of the "Orne Bridgehead" event. 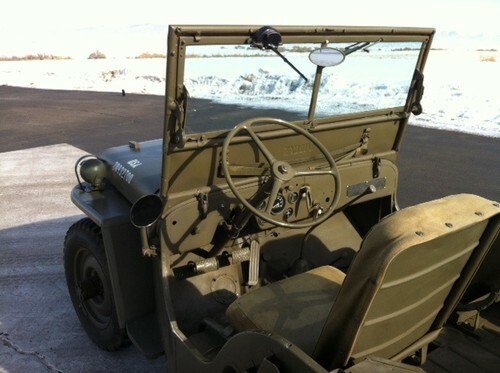 Here is a link to a beautifully restored WW2 jeep in British airborne service at "The Visual Collector". 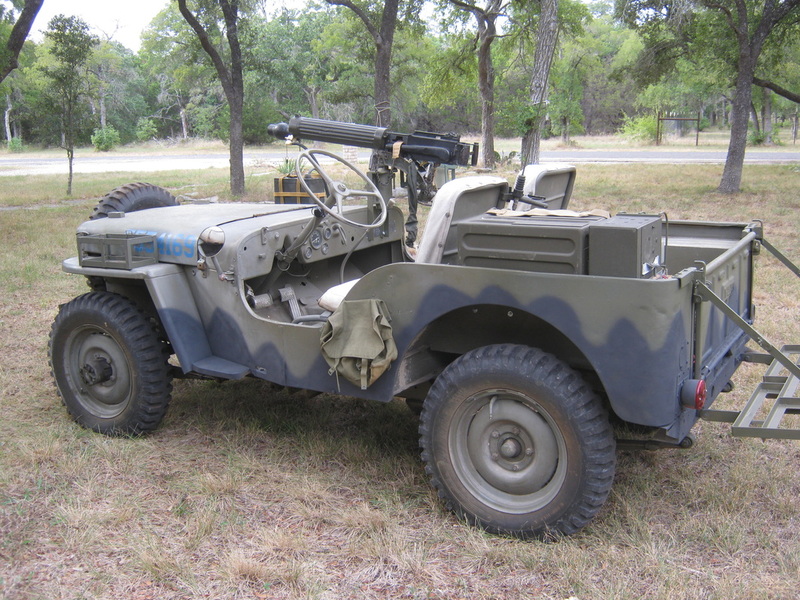 Here is a link to a vendor who supplies various reproduction components for british airborne jeeps.